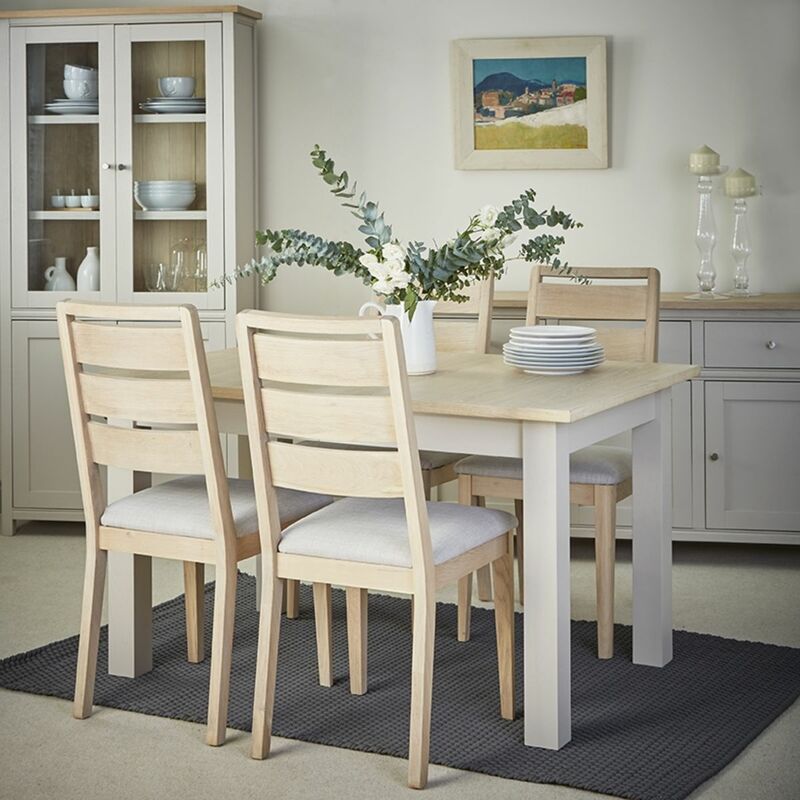 Whether it's used in the family kitchen or in a formal dining room, the Rushbury Painted Dining Table with Four Matching Chairs will be at the heart of the family home. 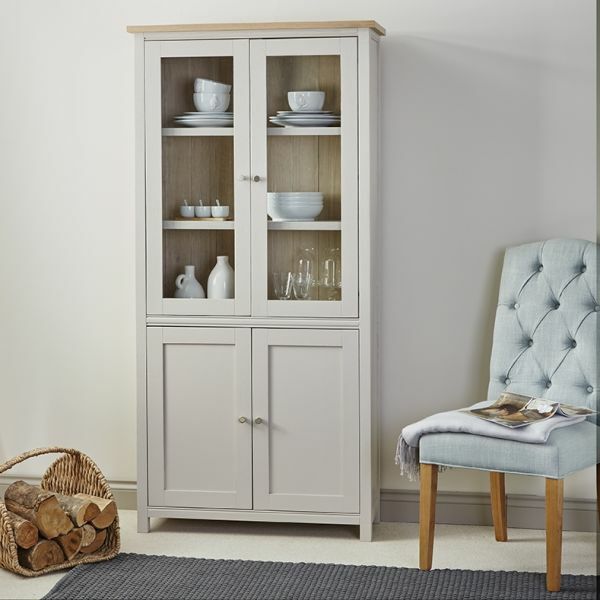 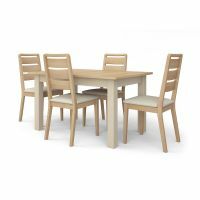 The set is expertly crafted from oak and hand finished in the UK to ensure its natural beauty and elegance shines through. 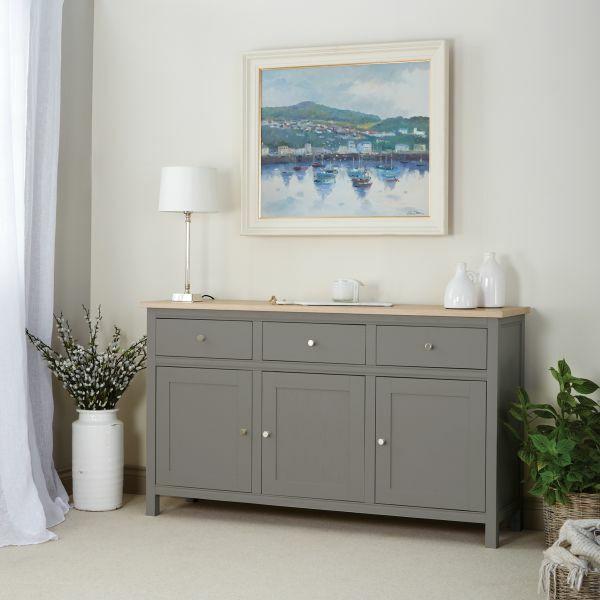 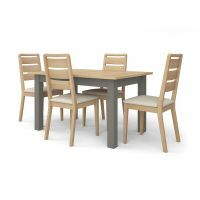 The table top has a natural oiled finish and the solidly designed legs and frame are painted in a contrasting choice of six different colour ways. 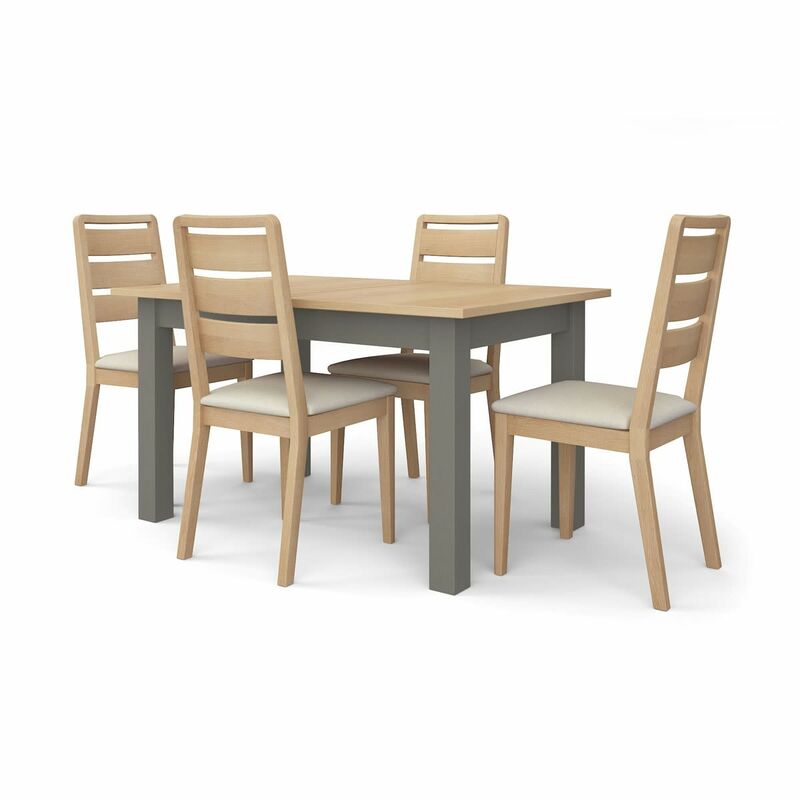 When it's folded, the table is 135cm and seats four. 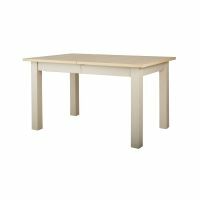 It comes with a handy hidden extension leaf which increases the tables size to 180cm, comfortably seating six. 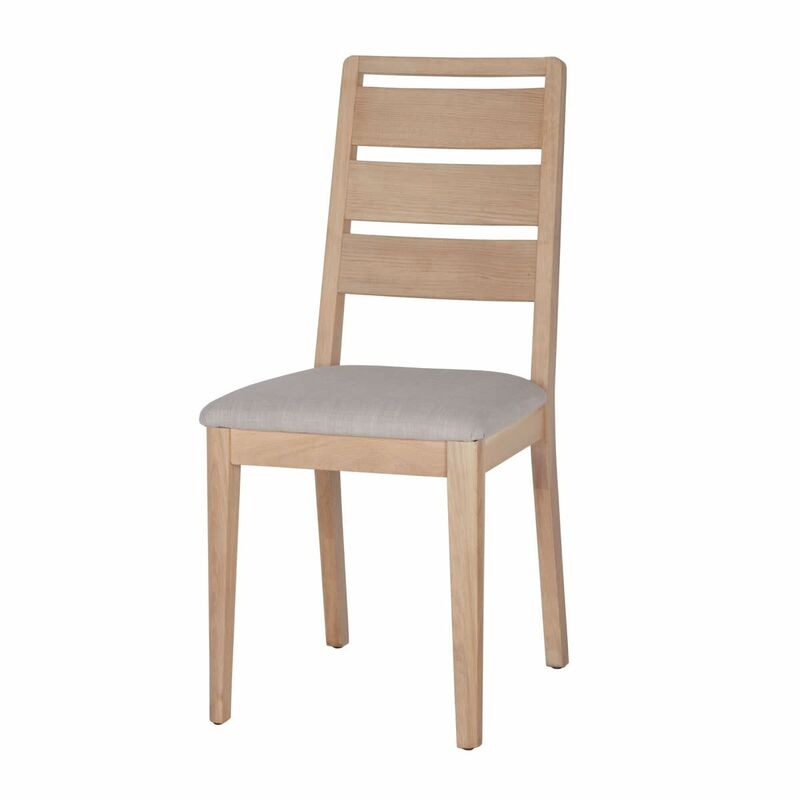 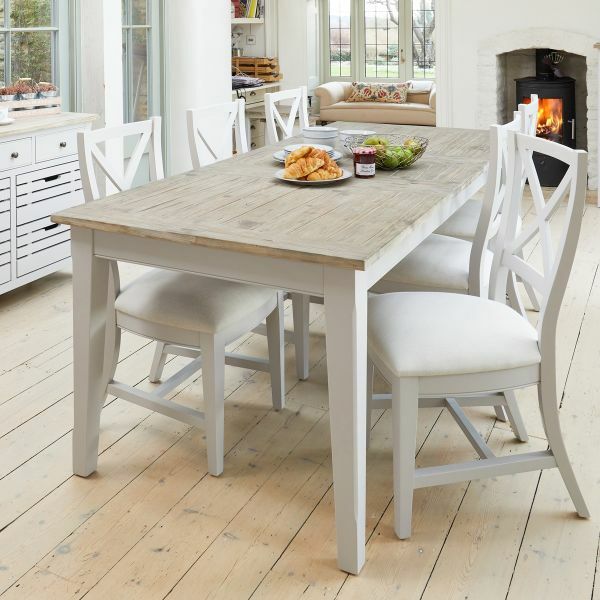 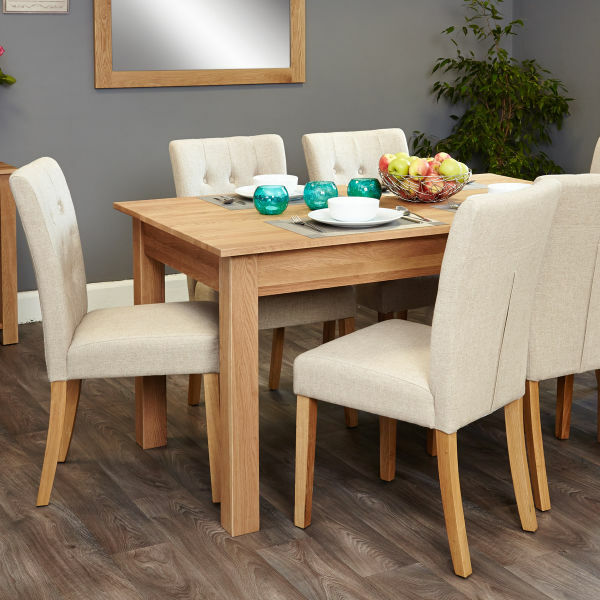 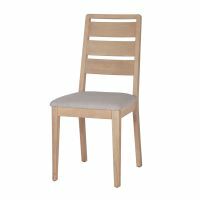 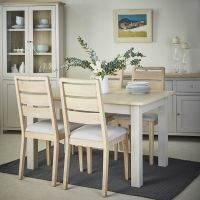 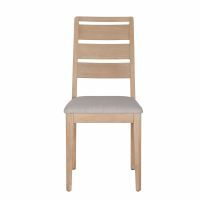 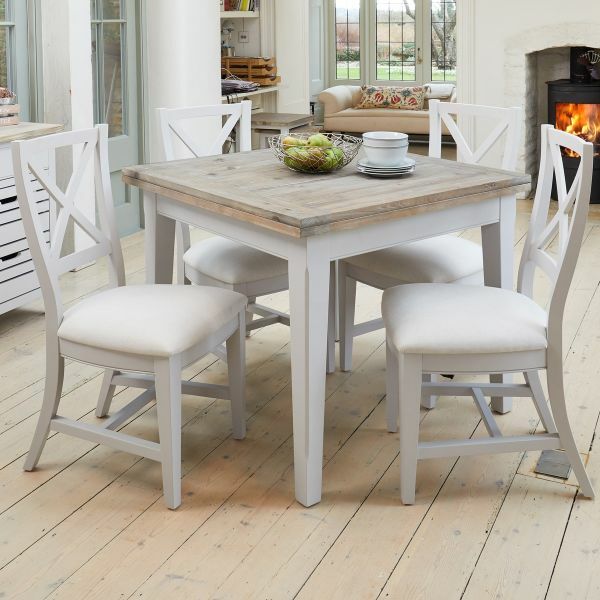 We haven't forgotten about comfort either, the dining table comes with four ladder back chairs which have a natural oiled oak finish to match the table top and are upholstered in a complementary cream coloured fabric. 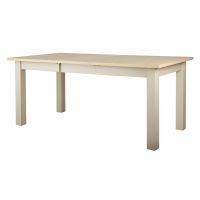 Crafted from oak, with a hand painted finish in a choice of six colour ways, this dining table and chair set is superbly built, requires minor assembly and is delivered within three weeks. 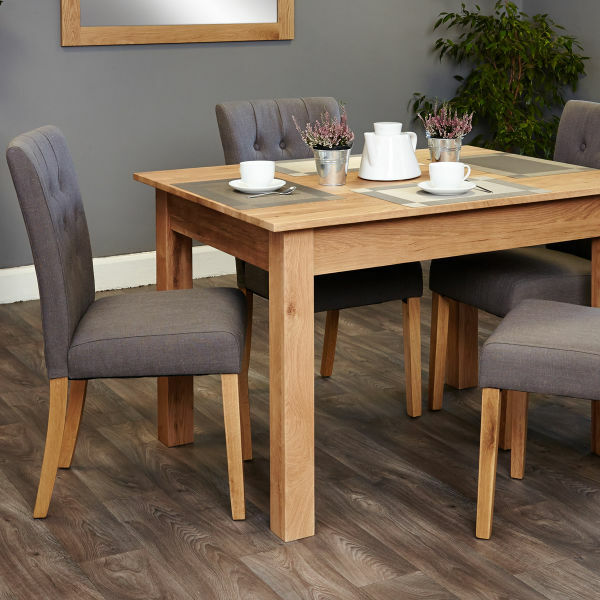 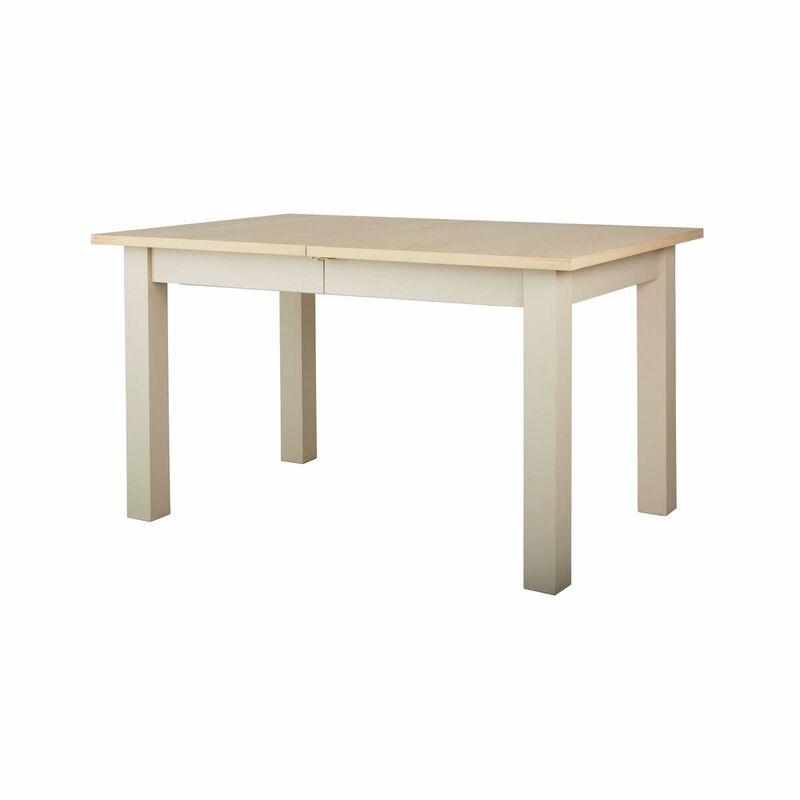 If you're looking for a stylish alternative, why not consider our Signature dining tables?